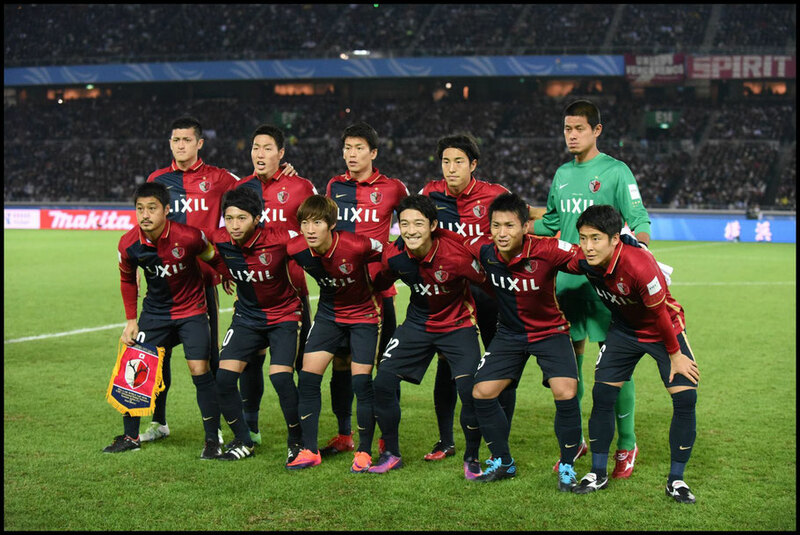 When assessing which teams will likely be top come season’s end, it is fair to look first at last year’s champions Kashima Antlers. Despite losing midfielder Gaku Shibasaki to Tenerife in Spain over the winter, the Ibaraki based outfit have strengthened their squad with the acquisitions of Brazilian pair Leo Silva (from Niigata) and forward Pedro Junior (from Kobe) as well as Korean ‘keeper Kwouk Sun-tae. 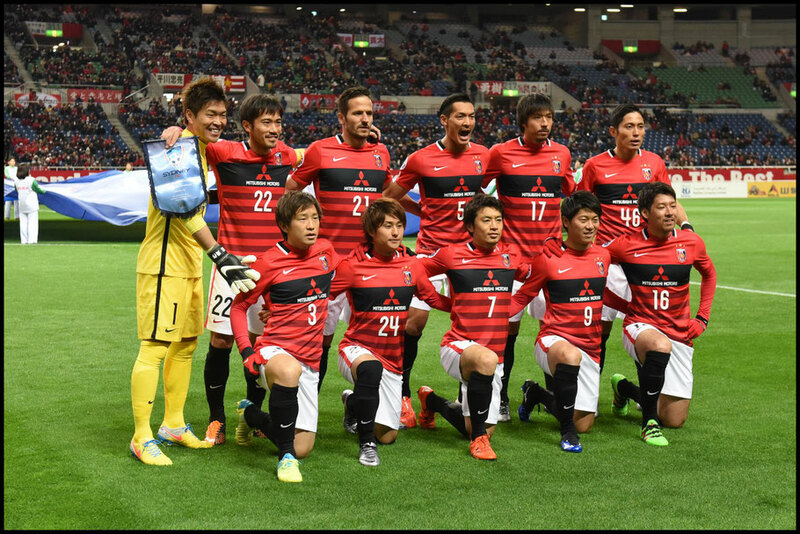 Add in the fact that players such as Mu Kanazaki, Yuma Suzuki, Shoma Doi & Ryota Nagaki remain, and there is a strong case for calling Kashima the favourites. Antlers won’t have it all their own way though. Urawa Reds will look to take the title that many claim was rightfully theirs last year (Urawa won the “yearly championship”, but lost in the Championship series). They will hope that star goalkeeper Shusaku Nishikawa can marshal their defence once again, while up front the attacking triumvirate of Tadanari Lee, Yuki Muto & Shinzo Koroki will undoubtedly cause problems for many defences again this year. FC Tokyo have probably been the most high profile movers & shakers in the winter transfer market, and they look like they might finally be able to mount a serious title challenge. Forward Yoshito Okubo, defender Kosuke Ota & goalkeeper Akihiro Hayashi headline the arrivals and bolster a squad that already contained good players like Japanese international defender Masato Morishige & pint-sized schemer Shoya Nakajima. They will be the hip choice of many to take the crown. Gamba Osaka are perennially up around the business end of the table, and this year they have dynamic young midfielder Yosuke Ideguchi as a rallying point. Gamba were disappointed with fourth place last time out, so expect a rebound from Kenta Hasegawa’s charges. Elsewhere, in a chasing pack with hopes of attaining a top four finish, Kawasaki have lost talisman Yoshito Okubo, but gained Akihiro Ienaga from Omiya Ardija and with Kengo Nakamura pulling strings in midfield, but will still be a force to be reckoned with. Omiya, will be hard pressed to improve on last year’s excellent 5th place, but do have the exciting attacking talents of Ataru Esaka, Dragan Mrdja & newly signed Yusuke Segawa to pin their hopes on. Vissel Kobe are rumoured to be bringing in Lukas Podolski in the summer, but for now they will have to rely on Brazilian forward Leandro - not a bad state of affairs given that the shaven-headed Brazilian hit 19 goals last term. Sanfrecce Hiroshima will rely on Masato Kudo, fresh from a spell in the MLS with Vancouver, can help them return to former glories, while Kudo’s previous club in Japan, Kashiwa Reysol, will look to the exciting Brazilian trio of Cristiano, Ramon Lopes & Diego Oliveira to propel them back towards the summit. 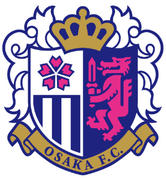 Cerezo Osaka are perhaps one of the biggest storylines in the league this year. The pink-clad club won promotion via the playoffs and wasted no time in hiring ex-Sagan Tosu manager Yoon Jong-Hwan to lead the team in their return to the big time. 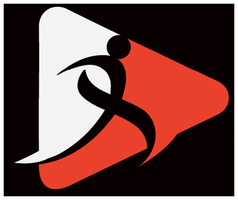 Hiroshi Kiyotake is their marquee signing of the winter, and with his presence they might be the first ever J2 playoff winners to survive in the top flight. In addition to Kiyotake, they also have Hotaru Yamaguchi, who is rebuilding his reputation after a difficult spell in Germany and they can call upon the services of Yoichiro Kakitani & Kenyu Sugimoto up front. Yokohama F.Marinos might still be reeling from the departure of club icon Shunsuke Nakamura but will have been heartened by the retention of winger/forward Manabu Saito who, despite dalliances with other options, has pledged his immediate future to the club. He will be the key component of Erick Mombaerts side. Jubilo, despite capturing Nakamura, will have some problems up front after the departure of last season’s top goalscorer Jay Bothroyd. The Englishman scored 14 goals last year, and his production will be hard to replace. Sagan Tosu, managed by ex-FC Tokyo coach Massimo Ficcadenti will once again look to powerful forward Yohei Toyoda to get the goals that will propel them to a top half finish, but also keep an eye of rising star Daichi Kamada. The young attacking midfielder is a dynamic talent and one who is in a prime position to light up the J.League this year. Vegalta Sendai & Shimizu S-Pulse look like a couple of teams that would be happy to finish in mid table, but at least S-Pulse can call upon the goalscoring prowess of North Korean forward Chong Tese. He hit 26 goals last year in J2 as he carried Shimizu to promotion, and while it would be wrong to assume that he can do the same in J1, he is definitely their player to watch. When you look towards the foot of the table, it will be a tough year for 2016 J2 champions Consadole Sapporo. Whilst they did win the league, they haven’t strengthened as much as they should have and it looks like they will be fighting to avoid relegation from the get-go. J1 fans will be happy to get the chance to see Shinji Ono and Junichi Inamoto perform on the big stage again, but one of their key signings might be Thailand international Chanathip Songkrasin, who will join the club in July. The J.League has yet to see a south east Asian player truly “make it”, but there are high hopes for the Muangthong United attacker. It could also be a rough year for Albirex Niigata after they lost a lot of their good players. They barely stayed up last year, and without Leo Silva, Rafael Silva & Ken Matsubara they will likely struggle in 2017. Finally, Ventforet Kofu will look to ex-Sendai striker Wilson to provide goals that will hopefully (for them) keep them safe for another year. Welcome back to the top flight, Cerezo Osaka. And welcome back Hiroshi Kiyotake. While the likes of Kiyo, Yamaguchi and Kakitani will be taking the headlines, the key piece in the Cerezo puzzle could well be new manager Yoon Jong-hwan, who was instrumental in taking small town Sagan Tosu to the top of the J1 table before (... wait, that's a completely different story!). A team that boasted so much talent - including the much-heralded Diego Forlan, of course, was relegated after struggling to gel as a team. Cerezo took the hard way back into J1, scraping through a play-off against Kyoto Sanga and what Joon does with his pieces will be key to the 2017 campaign. For this writer, skillful Brazilian hard man Sousa could be the one to hold together a talented midfield while Kiyotake helps to bring out the best in Yoichiro Kakitani and the other attacking elements of this team. I can't see them struggling against relegation, but if they are to challenge for the top, it will be down to Yoon off the field, and Kiyotake and Sousa on it. 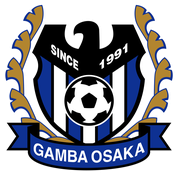 After a quiet 2016 pre-season, those in the know expected little from Gamba last season as the team continued long-put off rebuilding. Nevertheless, the team still made it to a cup final and into the ACL for 2017 and, with improvements in incoming transfers, as well as maturing youngsters, fans will be expecting nothing less than a tilt at the top this season. Yasuhito Endo continues as captain, with the versatile Yasuyuki Konno still a very good option, also. The biggest name in midfield, though, could well be (should be?) Yosuke Ideguchi, who broke into the 1st XI, then the national team set up in 2016. He also walked away with various awards, including a spot in the J1 Best XI. If he can be convinced to stick around for a few years he is a player that a team can be (re)built around. gents may have other ideas but fans will be hoping he stays loyal to his team for now. Incoming notables include cover for an already pretty solid back line. With defenders Koki Yonekura, Hiroki Fujiharu and Daiki Niwa all getting a look in with Samurai Blue squads - as well as goalkeeper Masaaki Higashiguchi, of course - and Jaesuk Oh playing for Korea, the last line for Gamba has been bolstered by Fabio - a steady centre back from Yokohaha F•Marinos - and 21-year-old utility back Genta Miura from Shimizu S-Pulse. Further up the field Gamba allowed both Kotaro Omori (Vissel Kobe) and Hiroyuki Abe (Kawasaki Frontale) to move on and, to help fill the gap, have relieved JEF United Chiba of the services of Haruya Ide, a very promising player who is still only 22, but has 99 league appearances for JEF under his belt (and 15 goals). Jin Izumisawa, the epitome of the speedy little winger, has also been picked up from Omiya Ardija. Izumisawa knows the area well, having been at Hannan University for his youth football, and he should settle in fast. Another player to watch out for will be Ritsu Doan who is still only 18, but seems to have been on our radar for years. With Abe out Doan could well be the man to fill the spot in right midfield, and he won't be found lacking. Is the J1 Championship, and a cup, or even better, out of the question for Gamba Osaka in 2017? With a new manager, in the shape of experienced former Kashiwa Reysol head coach Takanori Nunobe at the helm, we see a few changes for Kansai's J2 representative in 2017. Nunobe was a steady midfielder, with a good brain for Tokyo Verdy, Jubilo Iwata, Cerezo Osaka and Vissel Kobe, before joining Avispa Fukuoka and marking such a mark there that he became their "Ambassador" after he retired. He's done his coaching apprenticeship under Nelsinho and Masami Ihara and is ready for his own club. I hope that the other big change at Sanga helps, rather than undermines the first-time boss. Yes, Tulio is in town. After retiring at the end of 2015, a desperate Nagoya Grampus pulled him back in ("Just when I thought I was out...", etc.) but to no avail (with Grampus joining Sanga in the 2nd tier for the coming season, of course). Tulio could help big time... or could he hinder the progress of the classy youngsters that just keep coming through at the club? Hopefully, it will be the former with the former national team stalwart passing on his experience both on and off the field. Fans will be hoping for, and club officials will be demanding, at least a top six finish, to allow a crack at J1 as a new stadium comes into focus. Also of note, Ryuzo Morioka, former Samurai Blue centre back and a man responsible for bringing though a lot of the youth at Sanga in the last few years, has taken on the reins of his own club, and is installed as manager at Gainare Tottori. Will his behind the scenes work be missed? A couple of fan favourites have moved along: Koji Yamase has, ironically signed for Nunobe's old boss, Ihara, at Fukuoka, while Yuki Horigome has also joined up with another Nunobe connection - former Reysol and Albirex Niigata manager Tatsuma Yoshida - at Ventforet Kofu. Andrei has also moved on - to the ill-fated Chapocense in Brazil (so we will be keeping an eye on him and his team as they rise again from the tragedy that struck them late last year). As for incoming players, the club have raided the K League for Belgian forward Kevin Oris - who played for Antwerp before spending five years in Korea, with 68 appearances and 15 goals in his final two seasons at Incheon United. An interesting addition to the team, and one that, no doubt will have commentators mentioning his 1.92 m height regularly! Also coming from Korea - Ulsan Hyundai - is (another tall lad, 1.84 m) midfielder Ha Sung-Min. Ha has never scored a goal in his professional career and will be hoping to change that in Japan, although he is better known for breaking up opposition moves. Other players to watch at the club are Sanga's other two foreign players - although Spaniard Sergio Escudero is a naturalised Japanese - Escudero is a livewire who creates, cajoles and never gives up, while Lee Yong-Jae is a player who should be among the goals, if he gets a good run in the team. Lee is also the cover star of issue 21 of JSoccer Magazine, of course!